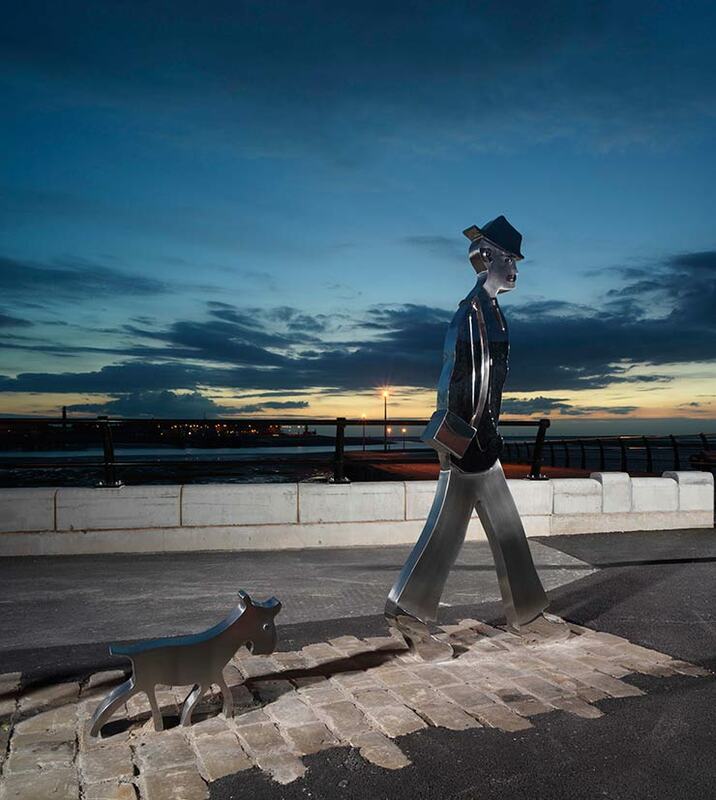 A stunning LS Lowry tribute statue manufactured by WEC Group apprentices celebrates Lowry's famously painted matchstick man and his dog, included in several of his works, and is located at Knott End-On-Sea on the Lancashire coast. 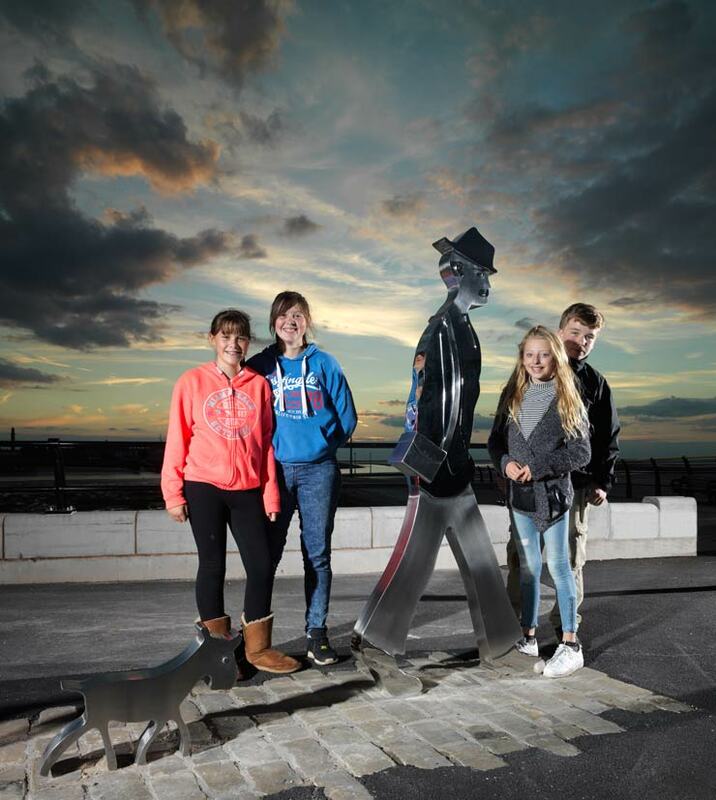 Funded by Preesall Town Council and the Wyre Borough Council, the statue has been designed in stainless steel and stands at more than 5ft tall on the ferry slip site. The original artwork was scanned and we then laser cut the side panels (the left and right side of the man). We then formed and welded a 120mm stainless steel band around the inside, giving the impression of the Lowry to be a solid block. 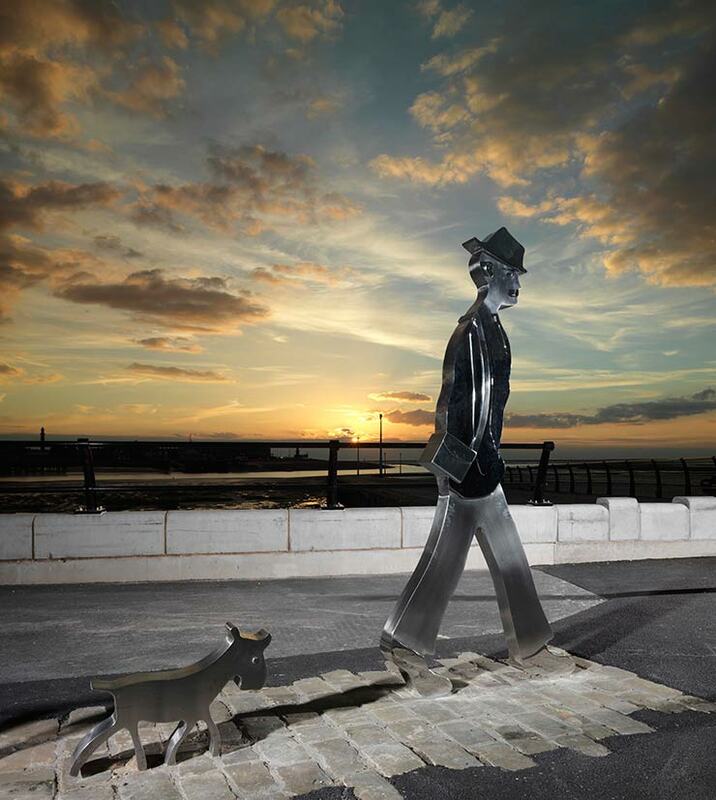 Apprentices then TIG welded two extra layers such as the coat, arms and hat which gave the statue a more obvious shape. All welds were then dressed and polished leaving a two tone mirror and satin finish. 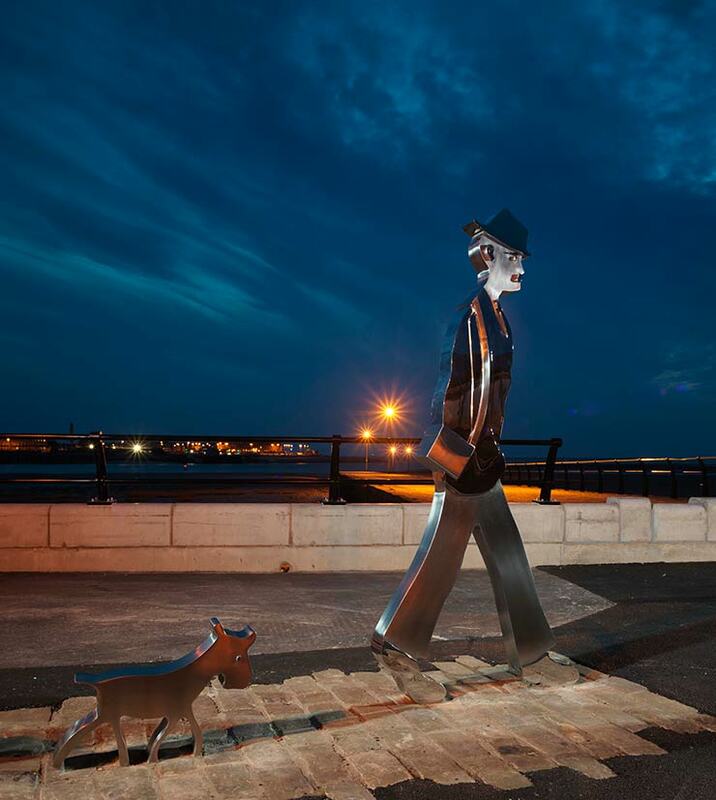 LS Lowry is known to have often stayed in the boarding houses on the front in Knott End and used the ferry slip in several of his paintings famously known as 'The Ferry Slip at Knott End' and 'The Lunevale'. He developed a distinctive style of painting and is best known for his urban landscapes peopled with human figures often referred to as "matchstick men".